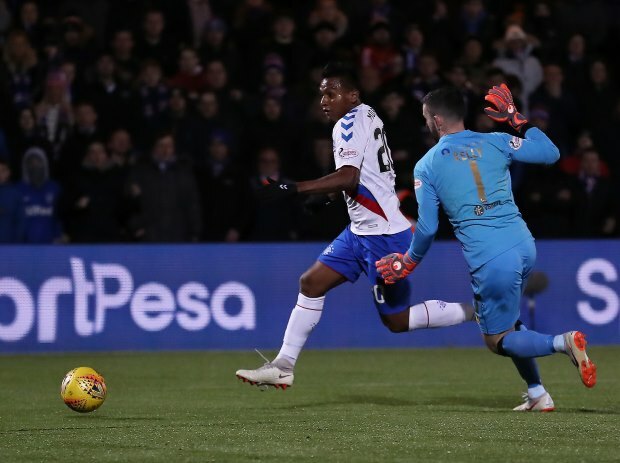 Charlie Adam feels that Alfredo Morelos' lack of discipline is the reason he is not worth £15m to £20m, with the Rangers striker suffering another red card on Wednesday night. Morelos scored twice at Pittodrie in Rangers' 4-2 win over Aberdeen, but was given his marching orders after a tangle with Dons defender Scott McKenna. It was Morelos' fourth red card of the season and again drew attention to his lack of discipline. Former Ger Adam feels that Morelos can explode at any moment in any game and it is stopping him from being valued at around the £20m mark. Adam told BBC Scotland: "Players have got a streak about them – you've got to look after yourself – but the way he does it, it's petulant. "That's the only doubt with Morelos. "In any game, at any moment, he's got a switch that can get him a red card. "You're talking £15m-£20m for him if he didn't have that." Morelos has attracted attention from several clubs over the last 12 months, with interest in him from sides in China and France. But Rangers have been clear that they do not want to sell the 22-year-old, who cost just £1m to sign from Finnish side HJK Helsinki. The Glasgow club have appealed his red card against Aberdeen.